The Fi-Glass Firestar is constructed to meet a $30,000 price-point, but it's also built to perform and provide long, reliable service. Geoff Green was pleasantly surprised when he drove one on Lyttelton Harbour. Fi-Glass Boats in Christchurch is New Zealand's oldest fibreglass production boat builder. Frank Simpson founded Fi-Glass Products in 1958 and built the company's first fibreglass boat in 1959 - a clinker-style dinghy called the Fisherman. More than 10,000 moulded fibreglass boats later, the company is still going strong. 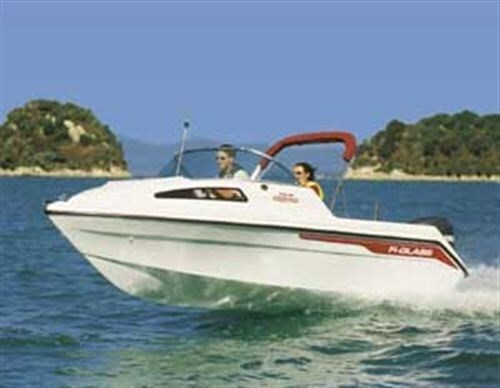 Fi-Glass was once the undisputed market leader and popular models like the Lightning, Dominator and Viscount saw production peak at more than 600 boats per year in the mid-70s. But New Zealand's boom-and-bust economy made such high production levels impossible to sustain and, as Frank sought an easier life, production was reduced to about 120 boats per year throughout the '80s and '90s. To some extent, the company coasted along on existing models and many other brands became established on the market. Then, in 1995, Frank's son, Griff Simpson, joined the firm, aiming to build on the company's good name and develop new models to boost sales and rejuvenate the dealer network. The 5.25m Firestar is one of four new models developed jointly by Frank and Griff. 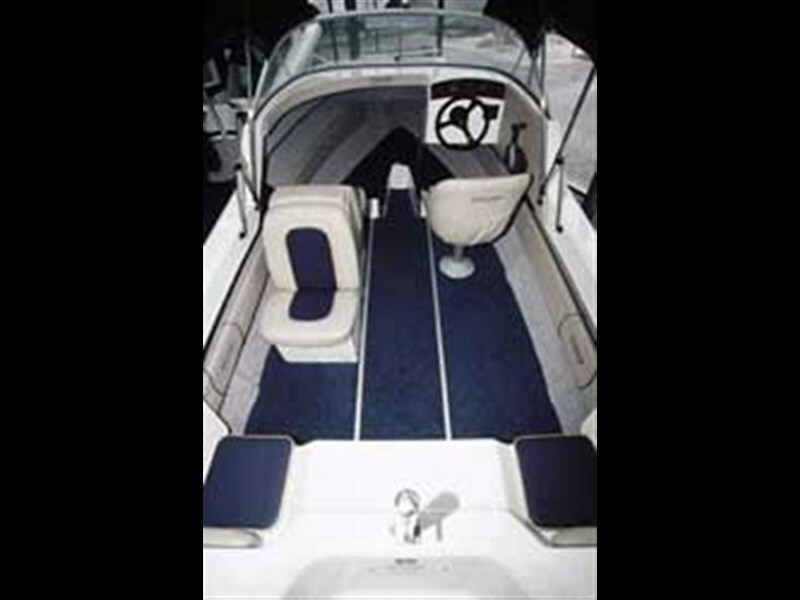 A pre-production version was released at the 2000 Auckland Boat Show and, after seeking feedback from the public and dealer network, they made some minor changes. 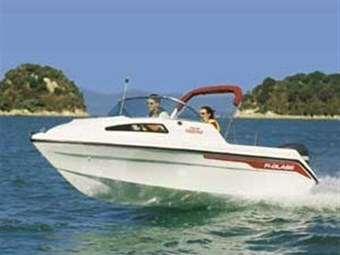 The production model was released at the Christchurch Boat Show in September 2000. Griff says the Firestar is produced as a mid entry-level boat, built to a very competitive price. "But it is built to perform and give long service. It's CPC compliant, and carpeted and lined throughout." The Firestar uses the Fi-Glass Senator hull that has been on the market for six years. "We specifically designed the Firestar to utilise the Senator hull because people loved its handling and ride, but many buyers wanted a bigger cabin. The Senator is really a big runabout, while the Firestar has a larger cabin, a slightly smaller cockpit and small side decks." Griff says the Senator is the first of Frank's variable deadrise designs, in which the deadrise changes across the section and longitudinally. "It's 21° at the stern, which is about the deepest vee you would want to incorporate in a boat this size." The Firestar hull has one narrow planing strake per side, positioned close to the chine, which is turned down and is about 70mm wide at its widest point. Frank says the strakes are just enough to break the water away and turn it down. "I don't think small boats like the Firestar need wide strakes because they detract from the ride and generate too much noise." The Firestar is constructed with a one-piece fibreglass stringer and floor moulding, glassed into the bottom of the hull. This incorporates the central under-floor storage well, the short cuddy cabin bunk seats, cockpit floor and stringers supporting the hull. Griff says this construction method makes the Firestar quick to manufacture and immensely strong. "Apart from a few plywood pads, glassed and glued in to take the fastenings for the pedestal seats and rod holders, no timber is used in the Firestar's construction. Even the side shelves are moulded fibreglass." Two-pot closed-cell foam is pumped into the cavities under the floor on both sides of the central storage well and under the cuddy seats. This eliminates storage space normally available under the seats but makes the boat unsinkable if used within normal bounds. "You could pull the bungs out at sea and nothing would happen apart from taking on a bit of water into the central storage well," Frank says. The foam also reduces noise transmission through the hull and contributes to the Firestar's relatively quiet progress through the water. The seating plan offers the choice of twin pedestal seats (standard configuration), optional twin back-to-back seats, or a mix of both. There are also aft seats on either side of the outboard well. They are simple affairs, with a flat square squab and a small backrest fixed to the deck moulding. They are not large but useable, with an option of fitting a third central squab to create a short-term resting spot. The optional back-to-back seat module provides additional storage space in the fibreglass seat base and this is accessed through openings under both seat squabs. The inside of the fibreglass base is flow coated where you can see it, and attached to the floor using aluminium angle and screws. The Firestar I drove on Lyttelton Harbour had twin pedestal seats and was built to the entry-level specification, apart from the ski pole and canopy. It was powered by a brand-new 90hp two-stroke Yamaha that gave 27mph at 3600rpm and I thought it was a good match for the Firestar. Producing 31mph at 4000rpm, I would think the boat's maximum speed, once the engine was run in, would be well over 40mph, lightly loaded with two adults and one tote tank of gas. Certainly, the 130hp maximum recommended outboard size would produce a rocket ship and I would only go there if you particularly wanted to go fast. The 90hp engine package suits the base model's use of tote tanks. The Firestar carries up to four tote tanks under the portifino stern, two each side. The battery and oil tank are mounted in the centre, while a bilge pump is mounted in the rear of the underfloor compartment. A dome-on curtain hides the totes and battery, and tidies up the presentation of the transom area. An 80-litre under-floor tank can be fitted, but this option eliminates the under-floor storage space through the centre of the boat. My first impression was that the Firestar got on the plane very easily without raising the bow. There is no transitional hump and it goes from displacement speed to holding the plane comfortably at 16mph without any major attitude change. It just cruised along at 16mph and I could have sat there all day as we negotiated the moderate chop. The ebb tide ran with the wind and although the harbour had no white caps, they weren't far from forming. Water conditions weren't rough but they were testing, and the Firestar's ride and performance pleasantly surprised me. I don't know why I expected the contrary. 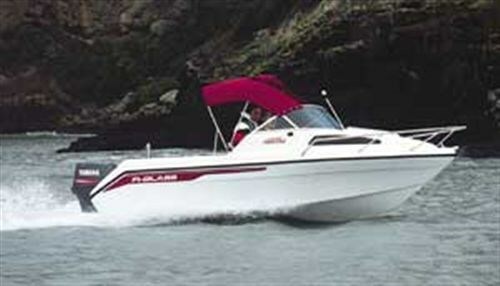 Perhaps, because the boat is built to a basic formula, I had mentally downgraded its performance to match its price. But this is not so. At 27mph, I was happy to sit comfortably out of the slipstream. At 32 mph it tracked well and was light on its feet, and with a little more boat speed (35mph), it just skipped across the top. OK, I thought, my pre-conceived notions still not fully dispelled, what happens when I take the waves on the forward quarter at 30mph? I didn't get wet nor bashed about. I could still sit at the helm, although I did choose to stand in some of the rougher bits where the waves were almost white capping Within the context of a relatively short run and a lightly loaded boat, I was impressed with how the Firestar ran. It was responsive, handled well and rode nicely. Seated or standing, the helm position is comfortable and although simple in form and function, it features all the controls and readouts necessary for a day's boating. Griff acknowledges - even reinforces - that the Firestar is built to a price. "We are trying to offer a base-line package that maximises size, space and performance for less than $30,000. I don't know any 17ft boat on the market that can match the Firestar with a 90hp Yamaha at $29,995. However, we find many clients enjoy a certain amount of customisation and, of course, we are happy to fit any extra the buyer wants." And he is right. The Firestar may appear simple and be produced to a price, but it presents well (carpet, upholstery and cabin lining are standard). It offers ample cockpit space and a useable cuddy to store gear or shelter children from the sun or adverse weather. More importantly, it handles, rides and performs very well. Standard equipment: Navigation lights, bilge pump, lined cockpit and cabin, carpet.